An A-10 Thunderbolt II dives in on it's target. "The A-10 was designed around the GAU-8 Avenger, a rotary cannon that is the airplane's primary armament and the heaviest such cannon mounted on an aircraft. 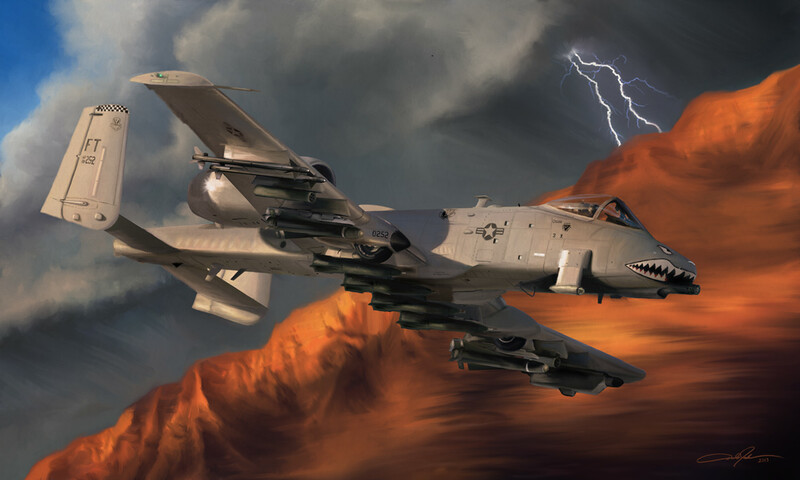 The A-10's airframe was designed for survivability, with protective measures such as 1,200 pounds of armor to enable the aircraft to continue flying after taking damage."